As if dropping yesterday’s home opener wasn’t bad enough, the Dodgers sputtered through a 7-2 defeat on Saturday against the Giants. 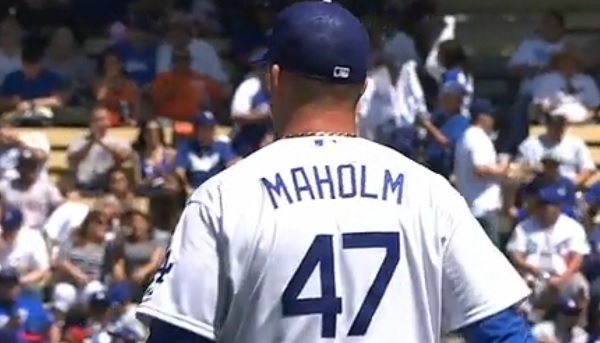 Starter Paul Maholm was pitching decently enough (two runs through four innings) before the wheels fell of in the fifth inning. Maholm hung a 2-1 slider to Pablo Sandoval with two runners on, and Sandoval didn’t miss it. That made it 5-1 Giants, and Buster Posey would follow that 3-run homer up with a solo shot of his own. For the second consecutive day, it seemed like the Dodgers didn’t have a great look at the ball game — and neither days should be blamed on Yasiel Puig. Speaking of Puig, he was shaken up on an infield single when he, unnecessarily, slide head-first into first base. He remained in the game. The offense managed nine hits today, but they only resulted in two runs. Madison Bumgarner was sharp, striking out 10 Dodgers in 6 1/3 innings (the Dodgers would strike out 12 times on the afternoon). It was a rare game in which Carl Crawford and Andre Ethier didn’t start because of a tough left-handed pitcher on the hill, but Don Mattingly‘s fool-proof strategy of batting the second baseman second didn’t work out so well. Ironically, Scott Van Slyke — playing for Crawford in left field — scored both the Dodgers’ runs. Something of note: Kenley Jansen worked for the first time since Tuesday in the ninth inning, but he could only retire two hitters while allowing a hit and a walk. Jamey Wright got the third out on two pitches. The Dodgers will try to salvage the series on Sunday Night Baseball (ESPN) at 5 p.m. Zack Greinke squares off against Matt Cain. 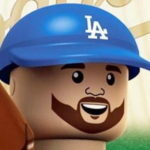 Rest assured, Ethier will be in the lineup, as he owns the best hitting line against Cain of any current Dodger (.441/.467/.574).